Interior glass doors and walls are necessary in contemporary housing or renovation projects. They are timeless and your options are endless. Revolving, glass with a film or motive — everything is possible. Every glass door becomes a true eye-catcher. Our in-house team guarantees a neat finish of all our glass projects down to the smallest detail. We listen to your needs and assist you with personal and professional advice. INPRO thinks along with the architect and entirely relate to your projects and support you at the level of the latest glass techniques and interior trends. All this with an eye for detail and attention to the prevailing safety standards. We come to your home and make a free offer, even on Sundays. We'd love to have a look at your project. Special of specific tailor-made solutions. Do you want specific advice regarding your project? Contact us and we'll gladly help you find the perfect solution. 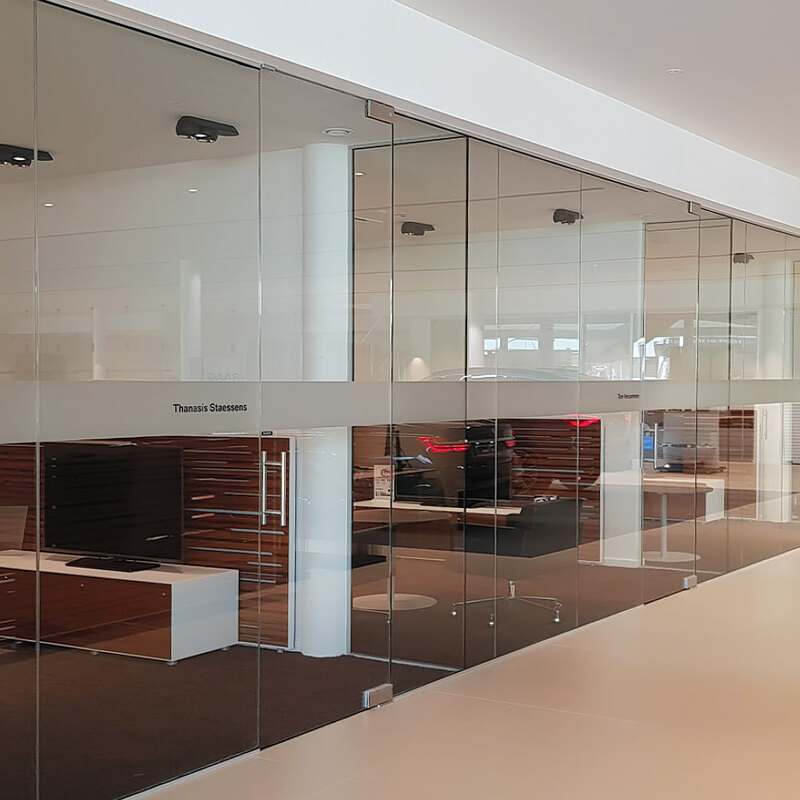 Have a look at all our glass solutions. Do you want more information or an offer? Contact us by telephone or mail or send us your plans. Tell us about your plans and we'll help you with the perfect glass solution for your project.